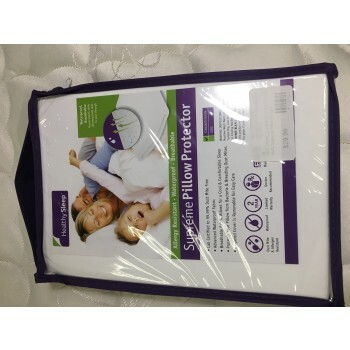 Add a layer of allergen protection to your pillows with our pillow protectors. They are constructed of a cotton terry fabric with a polyurethane protective membrane that repels moisture and provides a barrier from bacteria and dust mites. 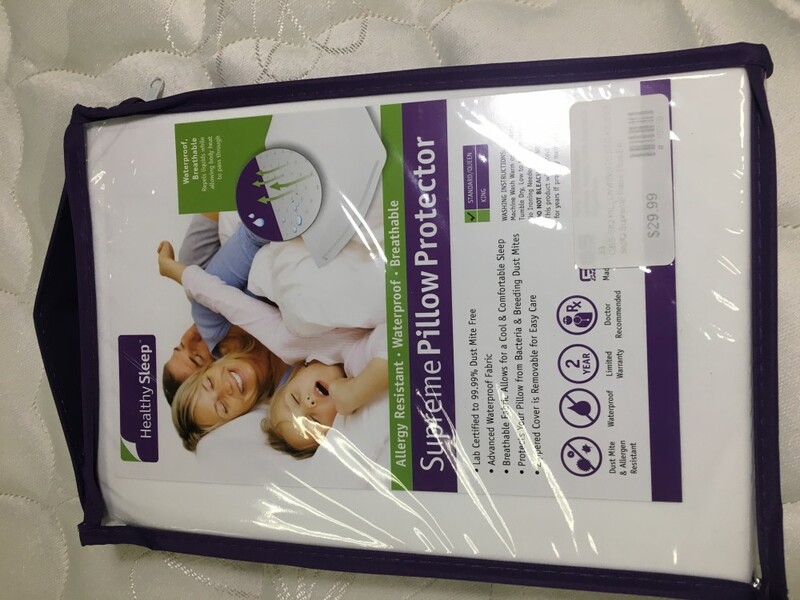 Our pillow protectors have a zippered closure to fully encase your pillows. The terry fabric quickly absorbs any liquids it comes into contact with. Unlike other waterproof protectors, these are breathable to provide a comfortable and cool sleep surface. Our pillow protectors are easily maintained with laundering instructions that call for machine washing and tumble dry. Sizes available are Standard/Queen and King.